Google for Jobs has the potential to transform the recruiting industry. Jobiak is removing a key roadblock for talent acquisition professionals by making it possible to post jobs to Google for Jobs directly. We are excited to announce today that we are officially launching the beta of the Jobiak platform! We have been working hard this year to bring this product to market to help you, the recruiting professional, get your jobs on Google for Jobs directly and accelerate your flow of qualified candidates. That journey takes the next most important step today as we push live! You can try Jobiak out for free here or read on to learn more about Jobiak and the Google for Jobs opportunity. Please also read the full press release on our launch here. Google launched Google for Jobs in 2017 with a stated goal of enabling job seekers to gain quick access to the most relevant jobs based on their search criteria by deploying a specific job search results box at the top of the search page, pushing all paid and organic results well down the page. Given that over 70% of job seekers start their job search on Google, they clearly saw an opportunity to deliver both more value to the job seeker as well as a better search experience. This follows the same path Google took with travel, restaurants, and shopping. 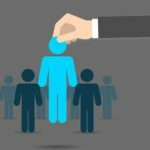 Now as a recruiter you presumably have access to this vast pool of job seekers and are able to bypass the traditional job boards. 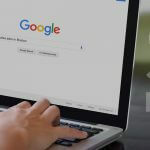 To help populate the Google for Jobs search box Google has partnered with a number of job boards to access the jobs they host on their platform and make them available to searchers. This has led to the Google for Jobs search results being dominated by jobs already hosted on job boards. In fact our analysis of over one million jobs currently on the platform found that more than 80% of them were hosted on a job board. This means that instead of your candidates going from Google to your careers site, they are only going from Google for Jobs to the job board. This represents a massive missed opportunity for recruiters to engage with highly qualified candidates directly. It turns out there is a straightforward reason for that result: it’s hard to post your job to Google for Jobs. Deploy the required Google tag schema yourself on each job post and submit them through the Google Index API. Bear in mind that these are not SEO Meta tags. Building the jobs tags requires a deep understanding of HTML, JSON, and the Google Index API to create and code the tags. These tags need to be prepared for EACH individual job post and embedded in the HTML of the webpage where that job post is hosted-repeat for every job you want to send to Google for Jobs. In short, you either need to pay for each of your jobs to be posted to a Job Board, or you need to ensure you have an integrated ATS, or you need to go through the time and expense to add the code to each one of your jobs. Founded by Venkat Janapareddy who has over twenty years in the recruitment and staffing industry, including building and selling a staffing business, and building a social jobs engine that sold to Monster Worldwide, Jobiak has developed a simple solution to allow recruiting professionals to easily deploy their jobs to Google for Jobs directly. As a recruiting professional we know that your focus is on finding the right candidates quickly. Your best candidates are already using Google to hunt for their next job, and Jobiak is the fastest path to reach those candidates directly. We have provided a simple way to get started for free, and made sure that the monthly price is extremely cost effective for you. To make it even easier for you to try Jobiak out, all of our launch customers will get the first three months free. So don’t delay, get started now!